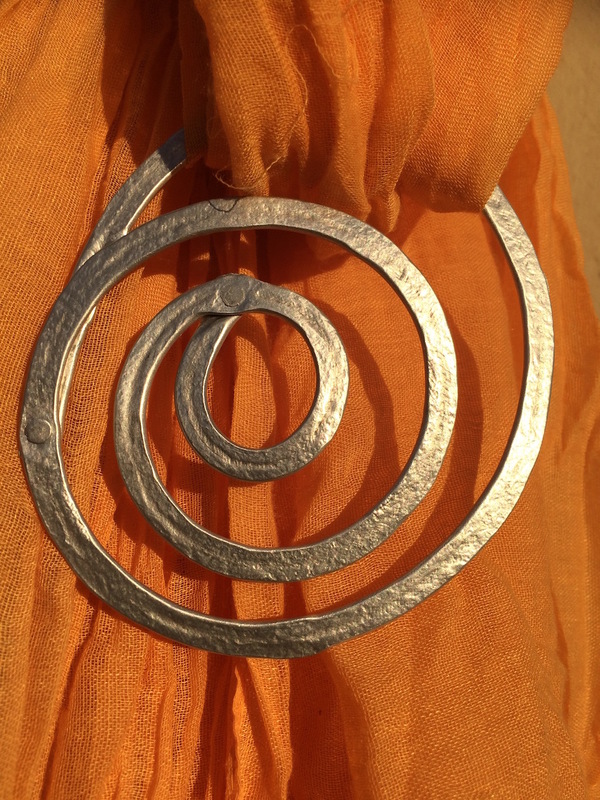 This one-of-a-kind aluminum spiral buckle is a multipurpose accessory which has been hand-hammered and hand-riveted. 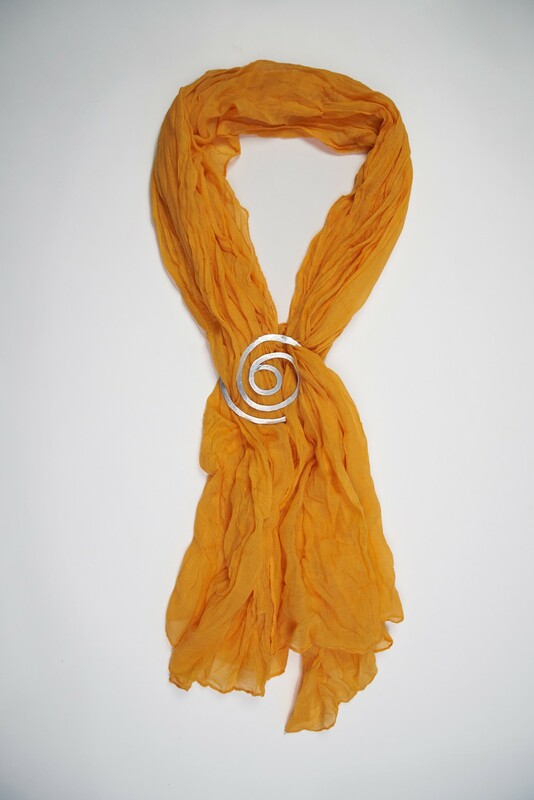 Ideal for holding scarves in place, either around the neck or waist. We can customize any size!